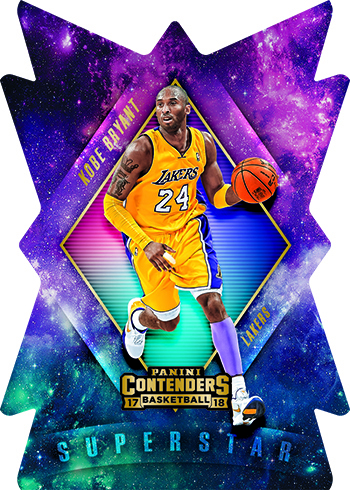 After kicking off the season with the college-heavy draft edition, 2017-18 Panini Contenders Basketball is all-NBA. It comes with all the tickets the line is known for as well as an emphasis on autographs. Season Ticket is where the base set comes in. Like other sports, the Rookie Ticket Autographs deliver signed Rookie Cards. Key first-year players come with on-card autographs. 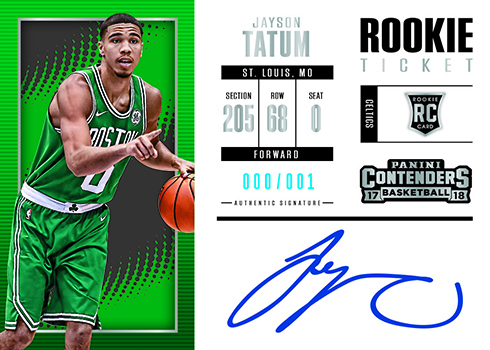 While the regular cards come with a vertical layout, Rookie Ticket Autograph Variations flip things 90 degrees to an easy-to-recognize horizontal look. Base cards, including rookies, come with several familiar parallels including Cracked Ice, Championship Ticket and Printing Plates. 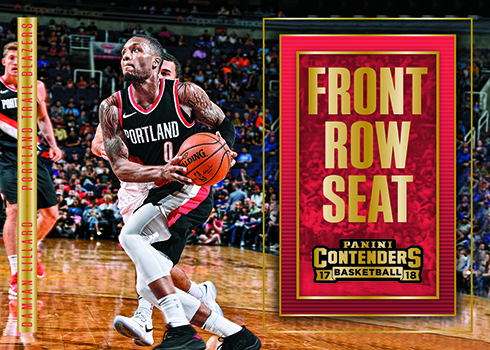 New to 2017-18 Panini Contenders Basketball are Premium Edition Rookie Season Tickets. These are done with chromium Prizm stock. 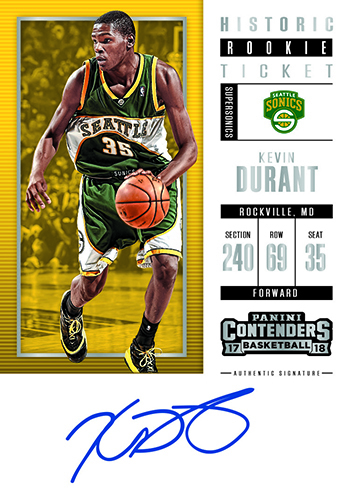 2017-18 Panini Contenders Basketball introduces a couple of other new ticket themes. 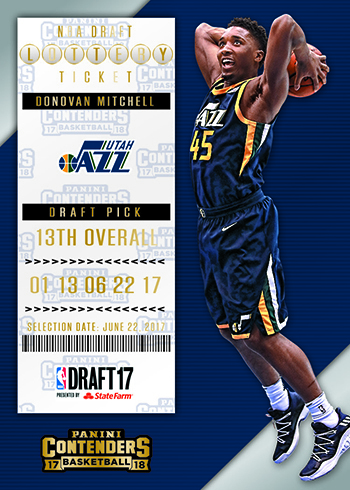 Lottery Ticket cards highlight the top 14 picks from the 2017 draft. Historic Rookie Season Ticket autographs look back to the debut seasons of superstar players. These come with on-card signatures. Additional signed inserts in the product include Up-and-Coming Contenders Autographs and MVP Contenders Autographs. 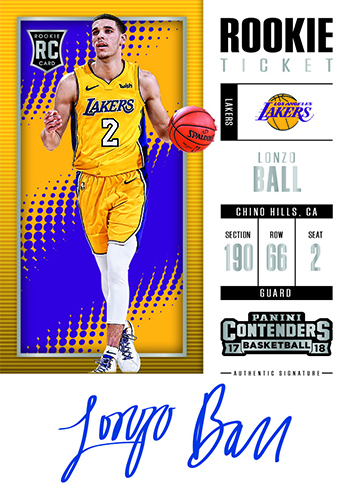 Not all of the inserts in 2017-18 Panini Contenders Basketball are autographs. Superstars is a tough set of die-cut cards that have a bright and colorful design. The checklist consists of ten current and past greats. Rookie Predictor cards add an interactive element to the product. They also come with an opportunity to land additional exclusive cards. Panini has yet to announce how these will work and what the prize cards are.